It happened again last week. I was saying good night to one of my children, chatting nonchalantly, when questions about birth parents, seemingly out of nowhere, entered the room like Dementors. The moment became sacred as we whispered in the darkness, and inevitably turned into deep, wracking sobs through my child's body. I've been in this place before, so I wasn't surprised, though I can never keep back my own tears when it happens. It's not often, but it's agony. We're not shy about adoption in our house; it's woven into the fabric of our family. But most of the time, we're just an ordinary family and I forget (and they forget, I think) that there's these shadows that lurk behind my children. That as happy and nutty and normal as we are, our family was created out of loss. And grief. I knew this, of course, before becoming an adoptive parent, but did I really know it? I was so fixated on the rescue and the redemption that it was easy to just skim over the grief. It didn't take me long to understand. When Grace (my oldest, who gave me permission to share this) was just 18 months old, she fixated on a Dora the Explorer book. It was only five pages long, and was the story of a baby bird who lost his mommy. Dora helped the bird find her, with Map and Boots, of course. The first time we read that book, Grace was fascinated. She wanted to read it again, and then again. The third time through, my sweet little toddler burst into tears over the little bird who was separated from his mommy. Is she seriously crying over a Dora book? I thought. But yes, she was. Because when we got to the last page, when the baby bird was happily reunited with his mommy, Grace became obsessed with that last page. She showed it to me over and over and over again. She adored that last page. She could barely talk. At the time I thought it was impossible that this incident could be related to her adoption. But as the years went on, and I grew to better understand my children and the nature of adoption, I really believe that silly little story scraped against a raw wound inside of her--even at 18 months old. In Love Thy Body, Nancy Pearcey writes about how modern culture scorns the biological family. If the biological body no longer has an inherent purpose in gender or marriage, then it has no meaning in a family. A family is therefore not created by biology, but by a contract. But contracts can be broken when they are no longer convenient, and who steps in that gap? The state. She writes, "Statism has been a recurring theme in treatments of the family since the dawn of Western culture. To an astonishing degree, Western political and social thought has been hostile to the role of the family in proposed visions of the ideal society. Secular intellectuals from Plato to Rousseau to B. F. Skinner to Hillary Clinton have been enamored with the idea of putting the child directly under the care of the state. The totalitarian regimes of the twentieth century—erected by Hitler, Mussolini, Stalin, and Mao—all sought tight state control of education, down to the earliest years, to inculcate unquestioning acceptance of the regime’s ideology." But even if we don't go into the realm of philosophy, up-close-and-personal reality shows us that as much as we try to convince ourselves otherwise, biology matters. More than one of my children have begged me through tears, Isn't there a DNA test I could take that would show me who they are? Don't we all get teary over adoption reunion stories? And as I read recently in the article Dear Anonymous Dad, even kids born by sperm donation aren't satisfied until they know where they came from. Pearcey writes, "We rarely reflect consciously on how much our identity is shaped by being integrated biologically and genetically into an extended family." That is, we don't reflect on it unless we're one of the ones who don't have it. So as an adoptive mom who is walking alongside kids who grieve what they have lost, I also grieve over the flippancy that my culture treats biology and its bonds. In an age of Tinder and no-fault divorce, more and more kids aren't being raised by biological parents. Yes, God can redeem any situation, but let's not pretend the brokenness isn't there. Of course, I still love adoption. Pearcey writes, "The bonds of biology train us to extend love beyond biology." But I hate that there has to be adoption. I think coming to that realization has made me a better adoptive parent. Sure, I weep happy tears over the little girl who finally gets a family. It's beautiful. It's redemptive. It's extraordinary. But we can't minimize the loss and grief that got her there. As much as I am a cheerleader for adoption, I've learned that I also must advocate for preventing the need for it in the first place. 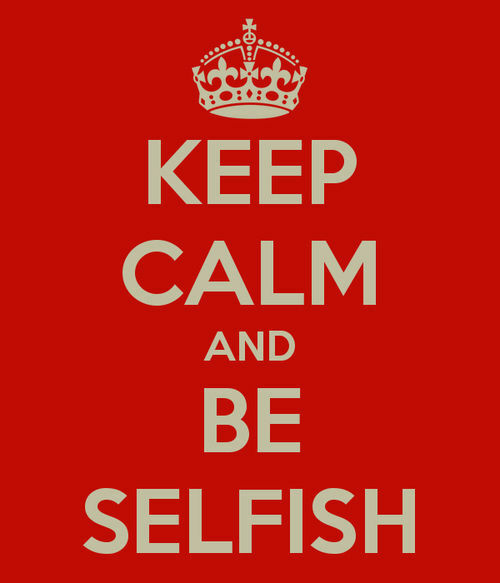 We are told to be selfish. Take care of ourselves. Don't let other people walk all over us. Make room for Me-Time. Do what's best for ourselves and our lives, not what's best for everybody else. But in the same breath, we are told to stay away from selfish people, because they will destroy us. 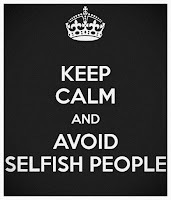 Be selfish, but avoid selfish people. Awesome. No wonder our culture's got this epidemic of loneliness. No wonder we've got covered-up racism bubbling up to the surface all over the place. And a skyrocketing suicide rate and school shootings and hidden abuse stories. Which is probably why we're all so confused on the topic of selfishness. Because, sure, it's easy to tell the abusers and the racists to stop being so selfish, but what about the wounded wife or the family of the murdered teenager? What got me thinking about this is our theme verse at HOPAC this year--Philippians 2:3-4. Do nothing out of selfish ambition or vain conceit. Rather, in humility value others above yourself, not looking to your own interests but each of you to the interests of others. I stood in front of all my precious students, squirming in their green plastic assembly chairs while the morning sun streamed onto the covered court. I know their stories, some of them intimately, from many eye-to-eye solemn talks. I know which ones are the bullies and which ones are bullied. I know the ones who have (or are) experiencing trauma. I know the peace-loving ones who always follow the rules and will always concede in a conflict. Does Philippians 2:3-4 speak to all of them? We want to divide everyone into one of two categories: Abuser or Victim. One is Bad and one is Good. One receives our scorn and one our sympathy. But is human nature that simple? Didn't most abusers start out as victims? We must cling to Twin Truths: I am made in the image of God, therefore I am infinitely valuable. Yet I am selfish to the core. Imago Dei. I am made in the image of God. Christ loved me enough to die for me, which is an extraordinary love and has proven my extraordinary value. 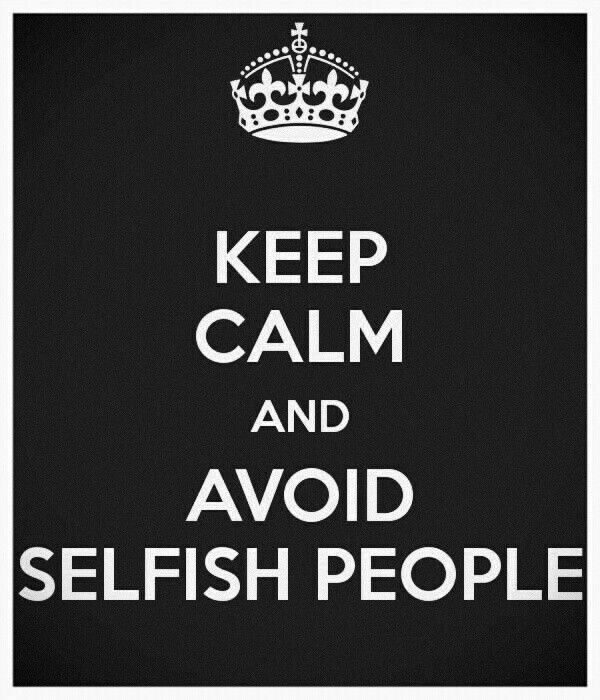 I am selfish to the core. I am consumed with myself--defending myself, feeling good about myself, justifying myself. Being understood, being successful, being fulfilled. Being pain-free, being comfortable, being independent. I am self-seeking, self-pleasing, self-boasting, self-excusing, self-conscious, self-indulgent. Most of the time, life is pretty much about me; I've just gotten good at hiding it. I can't speak for everyone, but especially when I'm particularly depressed or anxious, I'm also particularly self-centered. Twin Truths: I am valuable, and I am selfish. Lean too heavily on one truth over the other, and my life is out of balance. Imago Dei means I needn't cower under abuse or injustice. I can have courage in the face of oppression; I don't need to allow people to manipulate me; I don't need the good opinion of others to give me confidence. But recognizing my innate selfishness is equally important. Without daily, conscious recognition of the grace of God, I will choose myself every time. I've never liked the term self-care because it gives me too much room for selfishness. I prefer stewardship. My body, my time, my health--all are God's, because God has given me value. If I am going to live to glorify him, then I must take care of what he has given me. So that will often mean trusting God by saying yes to rest or health and saying no to duty-driven perfectionism. For some who find themselves in unjust situations, it may mean fighting or running, and that's not necessarily selfish. But we must always keep in mind those two Twin Truths. Jesus appeared on the Jewish scene during a time of intense governmental oppression. But what did he teach? Turn the other cheek. Walk the extra mile. Deny yourself. Sometimes Jesus was so tired he fell asleep on a capsizing boat. Other times he deliberately went away by himself. But we know with certainty that he was never selfish. This is tricky, because sometimes we can look like we are wearing ourselves out for the kingdom of God, but all that effort is really about us or about what others think about us. On the other hand, it's also really, really easy to ignore or justify our laziness or self-centeredness in the name of self-care or self-pity. The balance is somehow found in our pursuit of knowing God and knowing our own hearts. When you put it that way, it's not confusing at all. Nothing like getting to the end of a thousand page book only to find out it's part one of two, and the second one is even longer. I guess that's the downside of using a Kindle. But honestly, I'm really glad I didn't know these books were so long, and that there were two of them. That would have scared me off before I even started, and I'm really glad I read them. It took me six months to get through both, and I found myself bummed at the end that I was saying goodbye to the Henry family. I'd learned about World War II in school, and I've read lots of novels over the years that took place during that time. But these books took me into World War II. The length of these books offered something else as well--a sense of how long World War II really was for the people who lived through it, and how massive the war actually was. 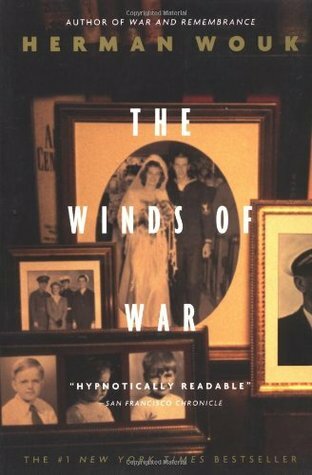 The books travel through Berlin, London, Pearl Harbor, Singapore, Midway, Russia, Poland, England and Washington DC, all through the eyes of one American military family. I learned a ton and enjoyed my way through it. Highly recommended. This is the story of a woman who left Mormonism after 35 years, during which she was also a Brigham Young University professor I don't know many Mormons, but Mormonism has interested me for a long time. Probably because I would have made a really good Mormon in my younger years--squeaky clean, really great at following the rules, earnest and passionate. 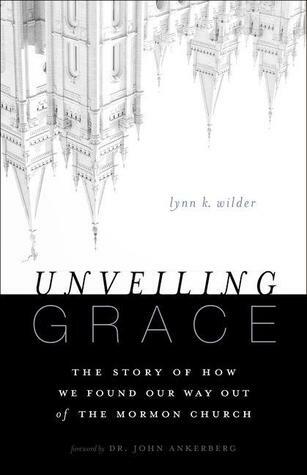 In fact, part of what makes this book valuable to evangelical Christians like me is that we can very easily fall into the same traps of legalism that bind Mormons. 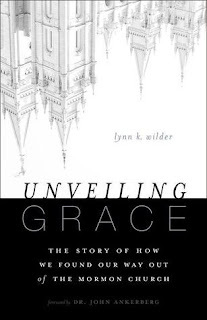 As the title suggests, it was encountering the beauty of God's grace that changed everything for the author and her family. This book is a little long-winded so parts of it dragged, but still a very interesting and profitable read. Sally Clarkson, who has written many books on parenting and home life, co-writes this book with one of her sons. 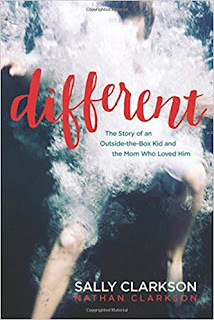 Nathan was an incredibly challenging child--extremely OCD, ADHD, defiant and argumentative. This is the story of their journey as mom and son, and parents of all kinds of kids will be encouraged and inspired by it. I have no idea why it took me so long to read this book. It's a memoir of growing up in Liberia, a place that haunts my dreams and felt like home for a long time--so I should have read it years ago. Liberia's history gets ignored a lot of the time--maybe because it doesn't fit the common racial narrative. In the 1800's, freed American slaves agreed to be sent back to Africa to start an American colony. And so Liberia was born--by pointing guns at the native people. The Black American colonizers kept a stronghold on the government and most of the economy for decades until 1980, when a military coup of native Liberians took over. They murdered the ruling party and destroyed the economy, and in 1989, the country was plunged into a tribal civil war for 15 years that could only be described as a living hell. Meanwhile, many of the Americo-Liberians, now thrown out of power, migrated to the United States. 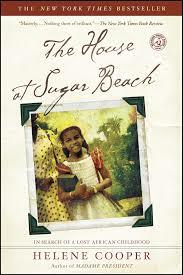 The House at Sugar Beach is the story of one privileged Americo-Liberian girl and her native Liberian friend, who for a time lived side-by-side--until everything in their lives changed. Even those with no connection to Liberia will love this very well-written, witty, fascinating story about a little-known part of history. 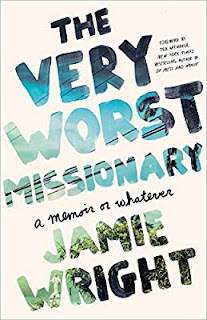 Jamie Wright is either famous or infamous in missionary circles, depending on who you talk to. The blog she kept during her five years in Costa Rica was known for being blunt, transparent, and hysterically funny. This memoir can be described in the same way, but goes deeper into her story. Jamie is not afraid to ask the hard questions or expose the hard truth, and I've always appreciated her for that. I don't agree with a lot of Jamie's theology or her conclusions, and I'm not into the whole profanity-on-every-page thing that she is known for. But I think that what she has to say is important, and that missionaries should read the book. We need to think through what she says and what our response should be. I wrote mine here.